There is a rich tradition of rational weathermen taking an interest in the potential of thorium-based nuclear power. The irrational have also taken an interest in thorium’s potential. 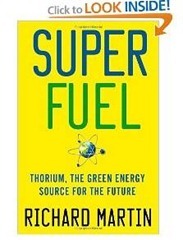 A warmer journalist by the name of Richard Martin has written a book entitled “Super Fuel” published on 8th May, 2012. Like all warmers, his grip on reality is a bit weak. One example of this is on page 55 where he states “the container ship Altona, bound for China and carrying a load of 770,000 tons of uranium concentrate.” The biggest ship on the planet carries some 500,000 tonnes and the world yellowcake market is about 80,000 tonnes per annum. Perhaps he meant 770,000 lbs instead of tons, but nobody else in the editing and publishing chain picked up the mistake either. A second howler is on page 195 which states “After the Fukushima-Daiichi accident, there was a brief run on supplies of iodine-131. An isotope of iodine produced in specialised reactors, iodine-131 is used to prevent thyroid cancer from radiation exposure.” What he meant was that there was panic buying of potassium iodide which is used to prevent thyroid cancer from iodine-131. For those interested in buying potassium iodide before the next nuclear scare instead of after it, the motherlode is Nasco in Wisconsin who will sell you half kilo of granules for $57.25. That’s enough to treat 360 people. There is also the warmers’ naïve world view on display. For example, on page 238 he predicts that “Enhanced energy security, and the economic power and diplomatic prestige that come with it, allow India to reach a lasting détente with its perennial foe, Pakistan.” Haste is also evident – on page 132, Alvin Weinberg is referred to as “Weinberger”. But I wouldn’t be mentioning the book at all if it wasn’t also useful and interesting. A large part of it is taken with recounting the history of two of the main protagonists of the early years of the nuclear age: Alvin Weinberg and Hyman Rickover. Weinberg was the earliest promoter of the molten salter reactor burning thorium. The coup de grace to the thorium programme was delivered by Milton Shaw when he was director of the reactor research and development at the Atomic Energy Commission. The world has been side-tracked on the dead end of uranium-burning light water reactors ever since. While not in the same league of storytelling as “The Making of the Atomic Bomb” by Richard Rhodes, “Super Fuel” gets the reader up to speed on thorium’s history quickly and relatively painlessly. There’s real potential in developing thorium reactors but, for now, it’s just that – potential. I know some would have us burn as much coal and oil as possible while waiting for a thorium breakthrough but that’s a potent blend of lunacy and wishful thinking. Kirk Sorenson works hard at promoting thorium development but we can’t put all our eggs in any one basket. I imagine India is keen on thorium research given their abundance of monazite but they’ve expended of lot of years and effort and and commercial exploitation is still decades away. I would recommend Sorensen’s talks, his Energy From Thorium website and FB page over any book by a layman. Oddly I cannot think of a single person who thinks we should burn as much coal and oil “as possible”. Nor do I think that the pragmatic amongst us are intent on sitting on our hands until a thorium breakthrough arrives. The pragmatic amongst us are confident that fossil fuels can be used with minimal environmental impact, and that human ingenuity will eventually deliver cost effective alternatives long before fossil fuels are depleted (provided that government intervention into the direction of science research doesn’t first exhaust our financial resources on dead end technologies like wind mills and solar panels). Thorium is an option, and an interesting one. Who would have predicted the internet or the flat screen TV or the 200 channel universe or the cell phone network or many other taken for granted technologies just 25 years ago? Thorium is one of many possibilities, many of which nobody has even thought about….yet. See you in 25 years. It will be a different world in ways nobody can predict. There are two new generation nuclear reactors currently competing to become the next generation of nuclear technology. Bill Gates company is promoting the Traveling Wave Reactor and Dirk Sorrenson is promoting the Liquid Fluoride Thorium Reactor (LFTR). I haven’t taken sides in that matter, but I do plan a second Thorium TV report soon built around Bill Gates involvement. In any case, it will take at least ten years for either of these technologies to be accepted, built, tested and make operational. In the meantime, hopefully the global warming scare campaign can step aside and let us continue to power our civilization with fossil fuels. “THORIUM will power the world”… That is the bumper sticker of the future. The ugly debate about energy has gone on and on. It is costing us billions of dollars. It is beginning to cripple our nation. I have been looking for a source of abundant, cheap electric power that short cuts the raging, highly destructive debate; a source all sides can support. I think I have found it. It is thorium. Thorium is nothing new. It was successfully demonstrated in the 1960s. I am not the only one to find it; there are now 100s, maybe even thousands of scientists, promoting it. But it has largely been forgotten and overlooked ever since the military/industrial complex and their political and bureaucratic servants dumped it 50 years ago. I am asking for all sides in the climate change, global warming, carbon dioxide, carbon footprint debate to consider supporting thorium. It is green; it produces no “greenhouse gasses”, no particulate pollution, leaves little waste and produces no risk of explosion, radiation or pollution in the atmosphere or ocean. It is cheap; an abundant resource found in the desert salts and rocks in virtually every country on Earth. It is relatively cheap and simple to use. I see every reason why, despite their huge, continuing differences on other issues, that thorium power can be accepted and promoted by all sides. I think Richard Lindzen and Michael Mann, Joe Bast and Peter Glieck, Fred Singer and James Hansen, Lord Monckton and Al Gore, Roger Pielke and Joe Romm should all set aside their debate long enough to help get the move to thorium electric power generation rolling. It will take a mountain of enthusiasm from a broad range of well positioned people to move the politicians and bureaucrats to back thorium. It would also be great if a major supplier of generating stations would climb aboard. I fear it is going to take a lot of political donations to move our Congress. And, I don’t think this can move forward without Congress. For the past several months, a friend of mine has been telling me about the potentially game-changing implications of an obscure (at least to me) metal named Thorium after the Norse god of thunder, Thor. It seems like he is not the only person who believes thorium, a naturally-occurring, slightly radioactive metal discovered in 1828 by the Swedish chemist Jons Jakob Berzelius, could provide the world with an ultra-safe, ultra-cheap source of nuclear power. Last week, scores of thorium boosters gathered in the United Kingdom to launch a new advocacy organization, the Weinberg Foundation, which plans to push the promise of thorium nuclear energy into the mainstream political discussion of clean energy and climate change. The message they’re sending is that thorium is the anti-dote to the world’s most pressing energy and environmental challenges. A clutch of companies and countries are aggressively pursuing Dean’s dream of a thorium-powered world. Lightbridge Corporation, a pioneering nuclear-energy start-up company based in McLean, VA, is developing the Radkowsky Thorium Reactor in collaboration with Russian researchers. In 2009, Areva, the French nuclear engineering conglomerate, recruited Lightbridge for a project assessing the use of thorium fuel in Areva’s next-generation EPR reactor, advanced class of 1,600+ MW nuclear reactors being built in Olkiluoto, Finland and Flamanville, France. In China, the Atomic Energy of Canada Limited and a clutch of Chinese outfits began an effort in mid-2009 to use thorium as fuel in nuclear reactors in Qinshan, China. Thorium is more abundant than uranium in the Earth’s crust. The world has an estimated 4.4 million tons of total known and estimated Thorium resources, according to the International Atomic Energy Association’s 2007 Red Book. The most common source of thorium is the rare earth phosphate mineral, monazite. World monazite resources are estimated to be about 12 million tons, two-thirds of which are in India. Idaho also boasts a large vein deposit of thorium and rare earth metals. I have no idea whether thorium is the panacea many people claims it is likely to be, but I believe we’ll be hearing more about it in the years to come. There is more to come. Let’s get focused on this concept and try to see it through. It could save our modern, high technology way of life. I have tried in the past to read warmist books, the last one was Manns howler. I usually have to put them down as soon as I read some BS. But since David has read it I will give it a whorl. I have spoken to a few greens and they are in favor of thorium-based nuclear power.”The mind boggles with those greens”! Thorium is an option, yes. One of its downsides: It produces weapons-grade uranium in a form that allows chemical extraction. More details here. Try hard not to wander off in your own version of unicorn farts and rainbows. Since doing my first Special Report on Thorium a month ago, I have been studying the two next generation nuclear reactor proposals that are battling for acceptance. They are the Traveling Wave Reactor proposed by a company founded by Bill Gates and Dirk Sorrenson’s Liquid Fluoride Thorium Reactor (LFTR). I am working on a follow up report featuring Gates. I am not smart enough to know which of these proposals is better. But I know that when one of them is finally accepted it will take at least ten years to build and test and install the first units. That means for now we must all work to set aside the CO2 pollutant scare campaign that is strangling our development of new sources of fossil fuels, power plants. refineries and pipelines. Agree! We would like to hear more from you, David! “There’s real potential in developing thorium reactors but, for now, it’s just that – potential. OK – I’ll bite. If burning as much coal and oil as possible is feasible (and it is and coal is cheap! ), why do you deem this to be a “potent blend of lunacy and wishful thinking”? I’m not ‘moon struck’ or prone to fantasies. Please elucidate, for our mutual edification. The most radical, WWF, Greenpeace, UNEP etc etc are in this for the radical change of the Western society. They don look for or want solutions to their selfmade problems they want problems ideas that will change the world. I’m all for it. But I wanna hear how the molten fluoride salt is not gonna corrode whatever they build those reactors out of. And what’s gonna happen if they are wrong. At 400 words-odd, it is half as long as it should be. I knew this but thought it best to stop. To go on any further would have meant putting in the stuff that Mr Martin left out and it would also mean imposing my opinions on the reader rather than being just a straight review. As I wrote it late yesterday after a night on the turps in a karaoke bar, we should be thankful for small mercies. Indeed. Only 1-3% of the fuel is actually used in these rods. What a waste. A big part of the problem is the solid fuel pellets. These accumulate isotopes (e.g. 135Xe) that absorb neutrons, and the pellets themselves swell and crack. Using solid fuel is a big reason the thorium-based Pebble Bed reactor is not a good idea. A liquid core would not have these problems. A liquid core can have contaminants removed in a continuous process. Some of these can have important medical uses, or other industrial uses. We have twice as much Th available as U. We should find a way to use up the material in spent rods. It is a waste. Yucca Mountain should never be needed (it was an expensive show that was not necessary anyway – see the ref above). If we use the fuel we have in hand already, we should have enough to last a couple of centuries without digging any more out of the ground. We should have a goal of 100% energy independence, and using more energy per capita. Energy use is necessary to make ilfe better. Oops. That’s “life” and I’m tired. See you tomorrow same Bat time, same Bat channel. John Coleman gave some good links above and here is a two hour, everything you want to know about a LFTR (liquid floride thorium reactor) down to the automatic chemical processing and U-233 denaturing for those who can absorb the science. It seems to have it all in very good, but long, video. We will need the plutonium from reprocessed fuel rods to start off the molten salt reactors. The alternative is U235 which would mean making a lot of transuranics from the entrained U238. One of the wise things that Obama did (the only one?) was to not have the fuel rods buried in Yucca Mountain. We need those spent fuel rods on the surface so that some future sensible government can extract the plutonium. While it is theoretically possible to make a bomb from U233, nobody in their right mind would bother to do so. Off the top of my head, the minimum critical mass for a U233 bomb is 60 kg whereas plutonium weapons start at about 6 kg. The U232 in the weapon means that it would have to assembled remotely whereas sub-critical pieces of plutonium can be handled with gloves. The U233 device would also be radiating heat at 1,000 watts from the decay of that U232. Pu239 is the optimum solution for bomb making. You can make 1 gram a day per MW thermal of capacity. Consider, Pochas, that a molten salt reactor would run at about 700 degrees C whereas an aluminimum smelter, for example, runs at about 1,100 degrees C. In the latter, the working fluid is doing a hell of a lot of work. In the molten salt reactor, all the working fluid is aware of is heating and cooling in about a 300 degree C range. Chalk and cheese. India has had operating thorium reactors for more than 50 years and still doesn’t have a commercial reactor. I must assume substantial technical issues remain. As someone who worked in the nuclear industry and supports its expansion, I have to say that I think that the thorium proponents are misguided. They are trying to put together in one facility both a power reactor and a fuel reprocessing facility. They do not explain what/how they will deal with the waste that is generated and removed continuously from the molten fuel. Current reactors that use discrete fuel elements have the option to allow them to sit in reasonably safe, secure storage for quite a long while to make ultimate reprocessing relatively simple in a purpose-built facility. If you combine both activities in one place, you increase the complexity enormously, especially as you have to actively contain all of the short-lived fission-products that can be quite nasty to work with. The last thing the nuclear industry needs is more demonstration reactors that end up costing a fortune and then sitting idle for years waiting for someone to clean them up. This is exactly what the greens want, so that they can use them to point to the basic technology as unproven, uneconomic, and unsafe. The alternative to LFTR is the TWR, Travelling Wave Reactor, which is being promoted by your friendly Microsoft owner Bill Gates. The TWR uses liquid sodium as a coolant and no more dangerous and reactive a substance could I imagine to use as such. The LFTR is far safer to use and is self regulating so does not need all the complex control addons. The fission products are of low volume and one, an isotope of bismuth, is useful for the fight against cancer in that it can be easily targeted and is an alpha emitter which means that the side effects are near zero. So the LFTR seems the right route to go and has the added plus that an experimental reactor ran for 5 years without problem in the 60’s before it was shut down for political reasons. The Indian problem, according to Kirk Sorensen is that their route is to use a dry fuel not liquid which seems to produce a simpler design and easier/safer running. The UK is likely about that time frame away from correcting it’s wind mill fantasy and shuttering all those hydrocarbon generators. Thorium would be near perfect for the UK – small footprint, safer than Michael Mann, won’t freeze in winter and might make pensioners happy. Los Alamos used “conventional” nuclear for power. The numbers would all trend vastly lower since thorium plants could be built with components made from assembly lines. One hopes the UK, and others, will dismantle all those ghastly killing wind machines. I’m a big fan of Thorium energy but the video in the article is so wrong about so many things it’s really, really sad. That’s not what happened in any of nuclear accidents besides nuclear bomb tests. Pictures of atomic mushrooms besides nuclear plants are and always were propaganda and this is just another propaganda trying to beat the original one. Current nuclear reactors don’t need high pressure to operate. The steam turbines which actually create the electricity need it. It’s irrelevant whether the steam is created by uranium or thorium. In other words, thorium reactors will use high pressure as well unless someone discovers more effective way to convert heat to electricity than steam. That’s the funny one. What’s so safer on molten salt compared to solid rods? To transfer the heat effectively they’ll need to run it through some pipes so here you have your rods again, even in a pre-molten state ready for problems. Current nuclear reactors use one, too – for the case the fuel melts. … then their containment tank would rupture just as it happened in Fukushima, releasing radioactive materials to the sea just like in Fukushima. It sure wouldn’t be as high but I don’t think thorium reactors would be mounted on cars. Quite probably they wouldn’t be mounted on any moveable vehicles except military just as today. And coal/oil would still be used in chemistry which is just another way of releasing CO2 from them. The whole end is full of sweet dreams but most of them would not happen even if the thorium was chosen over uranium. Yes I think thorium is our future. But to get there, we need realistic approach, not propaganda. I hear about Thorium reactors. I heard that there was one the that got turned on every Monday and off on Friday. I read that Thorium reactors are no good for making bombs,I see that Thorium reactors are fail-safe,That Thorium reactors are easly re-fueled. I also know that the E-cat comes out next year. at your local DIY. Speaking of typoz: “molten salter reactor”. Oddly I cannot think of a single person who thinks we should burn as much coal and oil “as possible”. Me! 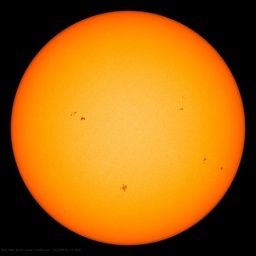 A Power has arisen on the planet possibly able to pull the planetary flora back from CO2-famine suicide. Us. As much of the buried sequestered CO2-treasure in crustal rocks and hydrocarbons as possible should be released, as fast “as possible”, for as long “as possible”. Thorium and nuclear “waste” can be burned in CANDU (heavy water) reactors, which have been operational for 5 or 6 decades. “Liquid fluorine salts” are not corrosive; that’s the whole point of using “salts”. The fluorine-metal bond (in NaF, e.g.) is so strong it is very stable, and hard to break down. Ok friends. I work in the fuel cycle business and have many peer-reviewed journal articles. Thorium based fuels (Th/U233) just are not so much different than Uranium based fuels (U/Pu239). U233 has U232 to make it nastier. Pu239 has Pu238 to make it nastier. Waste management: I’ve done the calculation myself and it has been accepted for publication in Nuclear Technology – Th/U233 creates fewer transuranic isotopes is true but doesn’t mean what Th advocates says it does. It also has more Th229 and other isotopes in relevant time periods and turns out to be more radiotoxic than U/Pu239 at key time periods. So the comparison depends on a whole lot of details associated with a given disposal approach. Proliferation – if you use internationally known metrics for comparing options there just isn’t much difference. Safety – a molten salt reactor DOES have safety advantages but one can fuel such a concept with either type of fuel. As a nuclear engineer, I totally support nuclear energy. I also support recycling used fuel. But, Th/U233 isn’t a magic answer to U/Pu239 issues. Molten salt reactors offer much promise but do have significant R&D issues. Detail point: here’s an example of what you find when you look at the details. The U/Pu239 fuel cycle works by U238 absorbing a neutron, becoming U239, which decays to Np239, which decays to Pu239. Both decays occur quickly. Th/U233 works by Th232 absorbing a neutron, becoming Th233, which decays to Pa233, which decays to U233. Note the similarity. The difference is that neutron-eating Pa233 sticks around longer than neutron-eating Np239. So, to improve neutron balance, the typical plan is to remove Pa233 from the salt, so that it is not eating neutrons uselessly, and let the Pa233 decay to U233 outside the reactor, then re-inject U233 to the salt. But, this gives you fairly pure U233, hence a proliferation concern. We already had one of these in Oak Ridge, Tennessee, back in the 1960’s, and it worked well. Why we con’t continuing doing this is a mystery to me. Most operational nuclear reactors are pressurised water reactor- the high pressure water is normally right next to the fuel rods although some like Fukushima were boiling water reactors with normally lowish pressure with big potential to pressurise to high pressure. The liquid thorium reactor won’t have anything pressurised or pressurisable inside the reactor- a big difference so its at subatmospheric pressure. Sure after a couple of heat exchangers there will be a high pressure fluid like steam but that’s far from the reactor core. I find this discussion rather ridiculous, in that, we have done this successfully back in the 1960’s. My father worked at the Hanford Nuclear Reservation for Battelle Pacific Northwest Research Laboratories who were directly involved at Oak Ridge building and operating a Thorium reactor. The problem I see, is we are wasting time jibber jabbering about it and not doing anything. This is a joke. It’s just another distraction from actually doing anything constructive. We could have fully operational Thorium reactors virtually over night if we really wanted to. I am tired of all of the BS talk about this sort of crap while nobody has the balls to actually accomplish anything. Talk is cheap. I think a few thorium reactors would be good just to reprocess the spent fuel rods. However, the article referenced a few days ago on direct carbon conversion fuel cells seems like it would make cheaper energy and the only waste product is CO2 (which is easily captured if desired). This product works on cheap coal or natural gas and with coal it doubles the energy captured. I would think this technology could be made available sooner as well. Just think if we could convert all the coal power stations to this technology rather than shutting them down as Obama is doing. The lower containment shell in Fukushima has not ruptured that would be far worse disaster- you talking about big amount of solid concrete and steel, some water lines have leaked a great deal of radioactive fission products but very little (nanograms) of solid fuel. No solid fuelled reactor is ever designed to normally have their fuel rods melt (that’s the potential China Syndrome) , the steel/concrete is there for a totally structural purposes and didn’t you see the the mess of the upper structure at Fukushima – fantastic containment- not possible at with liquid low pressure Thorium reactor. I would like to clarify one statement that Mr. Coleman had in the video. At 3:50, he states that the was a Thorium powered reactor in Ashville, Tn. In reality, it was the Molten Salt Reactor Experiment (MSRE) at the Oak Ridge National Laboratory, that was fueled with Uranium, not Thorium. My understanding is that intention was to eventually use Thorium, once the technical difficulties were resolved with Thorium. I believe the Thorium reaction pollutes itself and that the pollutants have to be removed in real time, hence the need for the MSR, aka LFTR. Being that they can remove those pollutants in real time, also means that it can be refueled in real time. No scheduled shutdowns for refueling. On of the BIG obstacles is GE. They have the refueling infrastructure for our nuclear plants, and they don’t want to have a simplified Thorium reactor upsetting that golden goose. I remember a recent video I saw of an Peter Lyons for his nomination to Assistant Sec of Enegry being questioned by Sen. Al Franken, he was asked (casually) about Thorium (at 3:30) and are they pursuing that technology, basically his response was that they already have a Uranium fuel cycle infrastructure and were not pursuing Thorium. There was no further discussion, Mr. Lyons basically blew it off. BUT, the pros of Thorium definitely outweigh the cons. The technical hurdles can be overcome. I liked this simplified chart to outline them..
With all that said, all that I would like to add is.. I am going to slightly off-topic here to ask the commentators (who know a lot about the nuclear industry, from their very insightful comments) to comment in a similar vein on the Deuterium-cooled reactors being promoted in Canada. They call them “Candu” reactors (yuk, but we live in a world of marketing) and my simple analysis suggests they are an advantage in using essentially unrefined Uranium so no enrichment issues. Plus, the coolant is its own moderator so much of the engineering seems simpler. I know getting a lot of deuterium is expensive, but once you have it, you are set and these reactors have been working in Canada for a pretty long time now. I guess what I am looking for is their downside since all I get here in Canada is the upside. Thanks for the comments on Thorium – nice to have a good set of knowledgeable people getting into the discussion. As in the previous thread there seems to be a lot of confusion talking about “power” generating plants. Much of the new concept designs discussed are prototype, demonstration plants. Small reactors of this type have a lot of wiggle room which allow unconventional use of such things as air cooling, gas driven turbine, etc. If a reactor is small and prototypical, one can use jello for cooling and twirly birds for turbines. But when we talk of large power production, with 1000+ MW(e) per unit outputs, reality of choices are quite limiting. Any exotic process may be used for the thermal production, however the water-steam cycle will remain conventional as well as turbine/generator sets. These are water cooled units. Bill Gates seems to be supporting a ‘traveling-wave,’ uranium-plutonium breeder reactor development project, which he justifies on a settled assumption that governments around the world will be forced to restrict all carbon burning by mid century to prevent disastrous climate deterioration from CO2. When asked about thorium on one interview, he seemed to ignore the question and talked about the rationale behind his project. Climate change considerations have also been cited as justification for thorium reactors, however, from what I have seen about the logarithmic effect of CO2, we should be able to continue burning carbon for a long time at the current rate before having a serious problem. The basic issue, as I see it, is carbon energy depletion, otherwise known as ‘Peak Oil.’ We will need a new energy source online and ready to go long before the time when petrochemical energy really begins to fail. Based on the time it took steam to replace sail on ships, this conversion may take on the order of 40 years. Just when this will become critical is a controversial issue. The professional speakers and writers who earn their living on this issue seem to be indicating that this could become a problem in the next few years. They point out that we already have peaked out on “Easy Oil” and from now on, we must depend on petrochemical energy that is becoming ever more difficult to find and extract. Government and industry experts, (See recent video: Unconventional Oil and Gas: Reshaping Energy Marketshttp://www.youtube.com/watch?v=GiS77aLLU40) on the other hand, seem to be saying this problem is many decades away and we are now increasing production as we begin to harvest the more abundant degraded coal, petroleum, and natural gas. The alarming fall-off in new oil discoveries since 1970, they say were due, at least in part, to investment bankers classifying oil exploration as a waste of money, perhaps given the huge discoveries made in the past. As an example, one speaker said we had only one ship looking for offshore oil in 1990 and now there are about 250. However, I doubt that they are now discovering 250 times more offshore petroleum. If molten salt or liquid fueled reactors are to become the new safe means of exploiting nuclear energy, a whole support infrastructure will need to be developed. That means training a cadre engineers and technicians who are expert in working on and regulating these reactors. The design of structures exposed to a neutron flow presents a special problem in *any* nuclear reactor as progressive neutron capture will degrade any such structure. This is because each atom exposed to a neutron flow eventually captures enough neutrons to become very unstable and quickly transform into a new element. The main advantage of a liquid fueled reactor is the fuel can continually be recycled and refreshed. This means nearly 100 percent of the fuel is used. Also, operation at ambient pressure eliminates the possibility of explosive decompression. The most dangerous radioactive contaminants are expected to remain trapped in the salt. Dr. David LeBlanc seems to be very knowledgeable on liquid fueled reactor design and he does not appear to anticipate problems other than the need to qualify various components for safe and reliable use. Here is one of his recent technical presentations. “Dr. David LeBlanc explores the diversity of Thorium Fueled Molten Salt Reactor design options, and their rational and value. Just for the record, the Chinese have licensed the German Thorium HTR technology. Germany has stopped its pursuit in 1989 due to cost issues. It works with solid pebbles. No, David this was not a wise decision. Yucca Mountain was intended to take all of the waste streams from both civilian and military nuclear processes. This includes all of the wastes from places like Savanah River, Rock Flats, Hanford Reservation, as well as spent fuel and contaminated byproducts from fuel enrichment. Even if you remove spent fuel rods from the mix, Yucca Mountain is still needed for all the other streams. And if you adopt a policy of fuel reprocessing you need a repository for all of the trans uranics and fission fragments, which Yucca Mountain was designed to be. No, the cancellation of Yucca Mountain was an incredibly stupid act, serving only to provide seeming justification to the anti-nukes that there is no solution to nuclear waste. There are two new generation nuclear reactors currently competing to become the next generation of nuclear technology….. Thank you Mr. Coleman. We could have had the Liquid Fluoride Thorium Reactor (LFTR) commercialized by now if the greedy politicians and their buddies were not so intent on ripping off the Tax Payers and crippling the USA. The proof of design reactor ran for four years before it was shut down so it is not Unicorn Rainbows and Pixie Dust like much of green energy. from memory pretty sure the reason thorium was used decades ago is because it is TOO SAFE meaning it could NOT be weaponized and at that time they were looking for a weapon and not concerned about generating electricity. the technology already exists for SAFE clean electricity production using thorium AND the old “spent” fuel rods. Ok friends. I work in the fuel cycle business…. Mr. Piet, how about writing WUWT a full article on the subject? Although the Pa233 is separated from the blanket for decay to U233, it’s not a good idea to let it cool because some U233 can be extracted shortly thereafter. Decay is a logarithmic process. The half-life is about a month but the first U233 could be produced “immediately” the Pa233 is first produced by decay from Th233. Keeping the salt as a molten liquid facilitates extraction. It’d be at about 500°C, so it’s not easy to walk away with a bucket full of it. John is correct in his assessment and David left out one critical adjective….ADMIRAL Hyman Rickover over-ruled Throium reactors in the sixties. If you trust Wiki…. http://en.wikipedia.org/wiki/Thorium ….then the first Thorium reactor was Unit 1 at Indian Point in 1962, which was converted to Uranium and shut down in 1974. Thorium has a half life of 14 billion years, meaning low radioactivity and there is four times the amount of Thoruim as Uranium. What “MikeH” said is correct, at a time when the USA still had “industry” the need to have rate payers subsidize the Military-Industrial (GE) use of Uranium over rode the practicle development of nuclear energy. Carbon Climate Forcing, ‘renewable’ energy and peak oil are the trifecta of government funded science lies. Hydrocarbons are a natural by-product of Earth’s variable fission process and as such, PETROLEUM IS RENEWABLE and it is NOT peaked. Humans are quite possibly consuming Hydrocarbons at higher than the natural production rate, but Hubbert’s peak oil was a Malthus extention and a gross error. The greens will be all for thorium until it becomes feasible. And it will likely become feasible whether or not ‘we’ pursue it, because the Indians are pursuing it. ‘We’ don’t have a lock on all technology, and this may turn out to be the thing that brings India into the 21st century. Once that happens, watch the greens wage jihad against it. Yucca Mountain was a very poor choice as a site to store nuclear waste. There are better geological formations available in other states, but were eliminated on political grounds. The state of Nevada is mostly owned by the federal government, and Yucca Mountain does have the advantage of being in a very isolated area in the middle of the Nevada Test Site which is itself surrounded by government owned land. I lived in Nevada and never believed the hype about the dangers of storing nuclear waste at Yucca Mountain. But the site has many well known geological problems that make it less than ideal. Still, we need to do something with the nuclear waste, and burying it an a mountain made of volcanic ash in a site that sits about the water table isn’t a good way to take care of it. We need to reuse, recycle and reprocess our nuclear waste. The volume of high-level waste can be reduced by up to 90% in this manner. What to do with the remainder? Bury it somewhere more geologically suited than Yucca Mountain. Thank you for that. Molten salt has very significant advantages, and fuel availability in a given country is also an issue. That’s why I think this is going to (eventually) happen in India. They want this for the same reason that Canada developed the CANDU – so that they can have a complete energy source without being dependent on other countries. Free trade is nice, but when you’re talking about a country’s energy supply, vertical integration is not an insignificant issue. (…) I guess what I am looking for is their downside since all I get here in Canada is the upside. Everything you want to know should be in the Canadian Nuclear FAQ by Dr. Jeremy Whitlock. The Wikipedia CANDU reactor entry is also good. As read here, besides using un-enriched uranium, they can burn “spent” fuel from conventional reactors, thorium, surplus weapons-grade plutonium, they can even get rid of waste actinides. The radioactivity requirements are so low they can keep recycling fuel and running it through until there’s practically no highly radioactive material left over. They’re also refueled while running, no shutdowns needed except for maintenance. They’re basically everything we could want from a fission reactor, if you’re not making bombs. They’re also designed with many inherent safety features with automatic failsafes. It’d take deliberate sustained operator malfeasance to mess them up, or a severe natural catastrophe like a direct asteroid strike. The major downside is, of course, at some point you’ll have radioactive reactor parts, and some lower-level waste. Although as the fuel technically never touches the heavy water coolant/moderator, on decommissioning you could just dump the D2O in the ocean where it occurs naturally and let it disperse. Can’t do that with light water reactor coolant. The proof of design reactor ran for four years before it was shut down so it is not Unicorn Rainbows and Pixie Dust like much of green energy. A quick look thru the newspaper will show that although we have had decades of experience with light water reactors we still have irritating problems related to the lifespan of the steam generator tubes. Humanity has been working with steam for hundreds of years. The technical challenges of heat exchangers with water on one side and something else on the other side will surely be more daunting then a heat exchanger with water on both sides. The history of other then water cooled reactors has been filled with ‘learning opportunities’. US DOE is pursuing research on ‘advanced gas cooled reactors’ . can produce huge amounts of energy just using the nuclear waste now being stored – how about 1000 years production of all the energy we need?. Flibe Energy is a company that intends to design, construct and operate small modular reactors based on liquid fluoride thorium reactor (LFTR) technology. Flibe Energy was founded on April 6, 2011 by Kirk Sorensen, former NASA aerospace engineer and formerly Chief Nuclear Technologist at Teledyne Brown Engineering and Kirk Dorius, an intellectual property attorney and mechanical engineer. The name “Flibe” comes from FLiBe, a Fluoride salt of Lithium and Beryllium, used in LFTRs. Flibe Energy Incorporated is registered in the State of Delaware. Just like when wind turbine manufacturers talk of the superiority of wind as an energy source, especially as to how their turbines are better, I think Mr. Sorensen may be slightly biased in his opinion. Sorensen estimates that it will cost “several hundred million dollars” to get to the first LFTR, but he is “confident that we will be able to garner sufficient funding to have a prototype thorium reactor in operation” by 2016. Keep sending money and you’ll eventually get your “small modular” LFTR. But they’ll be working with the US military, which is facing massive budget cutbacks thus funding from them will likely be constrained. The theory is the military would like to have self-sufficient on-base power generation. But naturally they’d be less than thrilled by the spewing of radioactive materials and hot molten salts after a missile or mortar strike. If this is really an issue the military can’t address with a diesel generator, as they’d always have the fuel on hand for their vehicles, long-lived Radioisotope thermoelectric generators (RTG’s) have been used for many decades, in space probes, the Soviets used them in unmanned lighthouses. The US Air Force uses them now for remote radar facilities. Very robust and rugged, portable, no maintenance. And because they’re working with the military, I guesstimate it won’t be until 2020 when they can begin the process of getting a commercial-use reactor approved, provided their proposed development timeline goes smoothly. Even then, expect about two decades from now until they’re deployed, with regulatory approvals and permit approvals and inevitable lawsuits to wade through. Meanwhile, thorium can be used in CANDU reactors now. It’s been looked at for decades. Here’s a 2000 paper, The Evolution of CANDU Fuel Cycles and Their Potential Contribution to World Peace. There has long been an attraction for fuel cycles using thorium as a thermal breeder of fissile material (U-233). Thorium is three times as abundant as uranium in the earth’s crust, and U-233 is valuable as a fissile material due to its high value of fission neutrons produced per thermal neutron absorbed (eta). Existing CANDU reactors can operate on thorium fuel cycles, with comparable fuel-cycle costs to the natural-uranium cycle and with improved uranium utilization. While ultimate efficiency is achieved with a self-sufficient cycle that relies only on bred U-233, economical once-through thorium (OTT) cycles can greatly extend uranium resources. Several options have been identified for the use of OTT in CANDU reactors (Milgram, 1984), and on-power refuelling is the key to successful exploitation of this material. Two general approaches have emerged: the “mixed-core” approach, and the “mixed-fuel-bundle” approach (Boczar, 1998). Thorium fuel cycles have additional benefits beyond uranium resource extension. Both the thermal conductivity and melting point of thorium oxide are higher than that of uranium oxide (by 50% and 340ºC, respectively). Thorium oxide is chemically very stable, does not oxidize, and creates fewer minor actinides than uranium. Even with the existence of economical uranium fuel cycles, thorium can be used to simultaneously extend resources and create a “mine” of safeguarded U-233 for future exploitation. So we can start burning thorium now in CANDU’s, and economically, or wait until that great glorious day when LFTR’s are deployed. From the timescales I’m reading, they’ll arrive just in time to be quickly superseded by fusion reactors. Besides, what do you get with a LFTR? A thorium-only reactor. With CANDU, you have a vast range of potential fuels, use what’s locally abundant and cheap. It’d take deliberate sustained operator malfeasance to mess them up, or a severe natural catastrophe like a direct asteroid strike. Of course, nobody but operators would be capable of deliberate sustained malfeasance, all computerized systems are inherently secure, we know nature’s limits, and everything can be made completely fool-proof, because fools really aren’t that ingenious. Back to reality, why again do we really need thorium reactors or other exotic ways to boil water and make steam? Wind and solar both cost more than they are worth. but we’ve got plenty of coal, oil, and natural gas. Combined with existing hydroelectric resources, we have ample energy reserves to see us well into the future, easily 100 years, and probably much longer. Since the CO2 scare has been debunked, it seems to me we should capitalize on our intellectual victory, and utilize our most abundant and economical sources of fuel so our species may prosper. It’s a questionable economic strategy to spend large sums of money trying to perfect unnecessary exotic technologies when conventional ones are available. Unless the strategy isn’t what it seems. I think “Apples and Oranges” is a better metaphor. Are we really dealing with graphite pipes? Apparently lots of questions remain about materials of construction. Assuming we can avoid excessive maintenance on graphite components by means of a super alloy, has anybody made a stab at estimating costs and capital for the fuel reprocessing auxiliaries? My gut feel is that they will increase costs and capital by at least 50 percent. We need to get some answers on these materials problems before we go ahead and create a boondoggle that makes windmills look like a good idea. If nuclear power plants could explode accidentally as a nuclear bomb the old USSR would have had that accident long ago. The warmist/green/socialist lunatics (theyve all merged into an indistiguishable blob) dont want cheap, clean or even free energy becoming available because it dosnt fit in with their aims. If a source of energy became available tomorrow to pull millions of starving africans out of the poverty their millions of kids get born into, the population would just continue to spiral massively upwards, the warmist aim is population reduction not expansion which is why theyre all for subsidies on dis-turbines and other “green” ideologies that keep people in poverty and push others into it. As for teaming up with the likes of manny and hansen their sums dont add up anyways so anything theyre involved in is bound to fail. CANDU’s burn spent fuel from light water reactors. We have decades of electricity from used fuel rods on hand, that people are wanting to throw down a deep hole for thousands of years. And CANDU’s are very efficient. See this paper I linked to last post. The fuel is burned so throughly there’s no economic incentive for reprocessing. CANDU’s stopped being “exotic” decades ago, now they are old proven technology. The money that’s been blown on fusion energy, including “experimental” designs that are just to prove fusion can be done but can’t be converted to commercial power generation, is mind-bogglingly questionable to me. The pursuit of “molten salt” reactors is almost as bad, so far. If a source of energy became available tomorrow to pull millions of starving africans out of the poverty their millions of kids get born into, the population would just continue to spiral massively upwards, the warmist aim is population reduction not expansion which is why theyre all for subsidies on dis-turbines and other “green” ideologies that keep people in poverty and push others into it….. Unfortunately you and the Greenies are incorrect. The most effective birth control is a high standard of living. The USA, British Common wealth nations and the EU all have birth rates near or below replacement. It is poverty and especially subsistence farming (Kids are free labor) that promote breeding like rabbits. BTW I have all the links to back that up if you want them. BTW, Kirk Sorensen’s proposed “small modular” LFTR? Don’t know about you bud, I sure ain’t investing in his company. …CANDU’s burn spent fuel from light water reactors. We have decades of electricity from used fuel rods on hand, that people are wanting to throw down a deep hole for thousands of years. And CANDU’s are very efficient. See this paper I linked to last post…. Thanks for the info. It is nice to know there is more than one option. I find it rather interesting this is the first I have heard of CANDU. Canada’s well kept secret? The MSM is only interested in denouncing nuclear and not reporting information. Look up “positive void coefficient”. Then Chernobyl. Then CANDU. You don’t need graphite for a reactor to become unstable. CANDU requires active control system response to maintain stability. If you let a molten-salt reactor “over-heat”, the freeze plug melts and the salts drain under gravity into passively-cooled tanks. The comments about the improved safety of the molten salt designs do not include detailed discussions about the removal of the decay heat. Decay heat is one of the two unique characteristics of nuclear plants that raises safety concerns. You have to continue to remove decay heat from the nuclear reaction in order to prevent the release of fission products, which is the other unique characteristic. Fossil fuel plants shut off the fuel (coal, oil, gas) supply, and the machine just cools down. When you shutdown a nuclear plant, you can stop the fissioning quickly, but you are still left with the fission products that continue to decay and release significant amounts of energy for a significant amount of time. The safety systems are designed to make sure that you can continue to remove the decay heat. Molten salt reactors will be creating the same amount of fission products per unit of energy generated as nuclear plants that use discrete fuel elements. 1000 MW of molten salt capacity will create the same amount of waste/FPs as 1000MW of LWR capacity or PBR or FBR. Those FPs must continue to be cooled, until they are placed into a condition that does not threaten their containment. If you “dump the molten salt into ciriticality-safe tanks” you stop the fission process, but you still have the FPs and their decay heat to deal with. If you cannot cool the tanks, they will melt, and you will lose containment of the FPs. Designing the tanks to be cooled passively is not simple. Gas coooled reactor supporters like to say that their fuel can maintain integrity without active cooling, and they have some calculations and experimental data to back them up. However, in real life there are a LOT of “interesting” scenarios that can challenge the integrity of their FP containments. None of the nuclear generating options is absolutely safe. The technology has the inherent risk associated with containing FPs. However, I would point out that several hundred people died in Japan when the trains they were on were swamped by the tsunami. No one has really been injured by the Fukushima accident. People have very different ideas about acceptable levels of risk from different technologies that are not amenable to rational analysis or argument. Unfortunately reactor sales are competitive and Nations bring political clout to reactor sales. This is why most of you have never heard of Canada’s CANDU reactors. Canada just could not throw large arms contracts into the mix. Therefore, only a few foreign reactors have been sold to such places as China, Korea, Argentina, and Romania. The Candu is probably the safest, most efficient design to deploy worldwide. However, these decisions are made politically by the big powers – not by industry or consumers. This is because of the penalty imposed by the neutron absorbing light water. A great deal of excess reactivity must be included into light water design, by enriching fuel with U235 or plutonium. This makes such reactors nervously ready for criticality, all the time. Yes theoretical void coefficient de-rates CANDU’s output slightly, however since light water is a poison to the CANDU fission flux, ordinary untreated water may be used for emergency core cooling, with no need for additional poison addition (neutron absorbing chemical ie boron). This means they can never run out of emergency coolant. No one has really been injured by the Fukushima accident. People have very different ideas about acceptable levels of risk from different technologies that are not amenable to rational analysis or argument. Two points: the final tally of personal injuries and other effects from the Fukushima Dai-ichi and Dai-ni accidents is yet to be written; that may take decades. Beyond that, mankind’s knowledge of and direct experience with radiation dates only from 1895. What proof do we have that increasing radiation exposure will have no long-term effect on the human genome, for example? Seems we have both a Steve Piet and Steve P! In comparing options, one has to look at what advocates say and especially what they don’t say; and what the market does. CANDUs with heavy water coolant and heavy water moderator do not need uranium enrichment. The “burnup” is about 7 MWth-day/kg-iHM (energy per kg of initial uranium) and one kg of uranium in ore turns into 1 kg of uranium in fuel. Pressurized and boiling water reactors are now getting about 50 MWth-day/kg-iHM and it takes approx 8 kg of uranium in ore to make one kg of uranium in fuel (via enrichment). So, in terms of thermal power/kg of uranium in ore, CANDUs are slightly more efficient. But, CANDUs get somewhat lower thermal efficiency, so CANDUs and PWR/BWR are about the same in terms of electricity/kg of uranium ore. But, all extract <1% of the energy in the original uranium. To get 80-99% energy extraction, one must recycle in a breeder reactor, but those are politically incorrect. Same result with thorium. Whether U/Pu239 or Th/U233 fuel cycles, if you want to really maximize energy and minimize waste, you recycle used fuel. The political greens will oppose either U/Pu239 or Th/U233 because it means nuclear would have minimal waste & would be more sustainable. But, the market …. The Canadian's own new and improved concept has heavy water moderator but light water coolant to improve economics. This allows them to get 20 MWth-day/kg burnup but requires some uranium enrichment. Why the change? higher thermal efficiency. less trouble with tritium created in the heavy water coolant leaking to the environment. less cost of making heavy water for the coolant. Another factor, if I am going to recycle any of those fuels, it makes the most sense to recycle one one with the most residual good stuff. Used PWR/BWR fuel has ~1% Pu. Used CANDU fuel has much less. So, to get the most recovered usable material per dollar spent, one would recycle PWR/BWR fuel, not CANDU fuel. Mankind has been dealing with radiation since the first man was born, whenever you want to date that. What happened in 1895 was that some very smart people finally detected it. Per Second. Every second of your life, for all of your life. If you life in the clear air in the mountains of the Rockies, you get a bit more. If you find a nice Brazilian beach that has monzanite sands (thorium), you get a LOT more. If you walk thru Grand Central Station in NY, you get more. If you fly in an airplane, you get more. If you hug your child, you get a greater dose, and so does that child. Radiation is ubiquitous. It is all around us and inside of us, and it has been forever. The canard that “there is no known safe dose of radiation” is fear-mongering. One last comment. Some people have alluded to the differences of opinion between Alvin Weinberg and Hymen Rickover. I don’t think they really understand the roles of these two people in the history of nuclear energy. Weinberg was a scientist, and a visionary. He came up with the idea for a water-cooled reactor, the PWR, that was chosen by Rickover for the nuclear navy. I believe that he also had a lot of other very innovative ideas about different types of reactors. He never had to actually develop these designs into working machines that made practical, economical power. He was a researcher. Rickover was an engineer. He had to come up with a design that would fit into a tube less than 50 ft wide, and would make reliable power independent of support facilities, while people were shooting at the tube holding the reactor. All without injuring the operators who lived inside the tube with the reactor. Rickover also was responsible for developing the only truly workable thorium fuel that was tested successfully at Shippingport. Weinberg had the idea, while Rickover had to make it work. The biggest problem with thorium is that there is no need for it because the cost of uranium is so low. As a percent of the cost of generating power, the cost of the raw material for the fuel is trivial. We could extract uranium from seawater and never significantly affect the cost of electricity generated by LWRs. With the availability of U from seawater, there is no need to use anything else, not even Pu. Thorium, on the other hand, would require the creation of an entirely new infrastructure for fuel manufacture, transport, storage, etc, which no one wants to pay for. Oh, and implementation of the precautionary principle basically amounts to giving control of your society to the people who tell the scariest stories. Not the way I want to be governed. But it’s what you’ve got. I don’t know if putting the smartest people in charge is the answer, but we’re a long way from that anyway, with a succession of slick, wealthy, ruthless types seemingly at the controls, and all doing their best to keep the hoi polloi scared witless with a never-ending stream of bogie-men. You addressed only the first part of my second point, and my first point not at all. In view of the fact that the situation at Fukushima has not been resolved, and accurate reporting hard to come by, I suggest it’s a wee bit early to know what the final reckoning will be, your breezy dismissal of any possible medical problems notwithstanding. Of course we are bathed in natural background radiation, but that doesn’t address the question I raised about “increasing radiation exposure” above and beyond that, . I arrived in Canada as a twelve-year-old boy in 1967. CANDU was a hot topic. Came across this in my futile search for newspaper articles from that era. I have been avid readers of both of WUWT and Kirk Sorrenson’s websites for many years. It is without a doubt that we are on the cusp of huge changes in the way we do business in this country and energy production. Not only will it allow current business enterprises to flourish, but will allow a huge new growth among those that don’t have the resources of energy production today. Through the use of thorium and Liquid Floride Thorium Reactors we will see a transformation never seen before in the world. IIt will create such an enormous benefit to those that can’t afford importing energy production and will bend the proverty scale back so much the impediment for a decent and respectable life style will a norm. Why would we not choose that choice? I know why. Tyranny! ” arrived in Canada as a twelve-year-old boy in 1967. CANDU was a hot topic. According to Kirk Sorensen, (see http://www.youtube.com/watch?v=gbCW1-PVteU) CANDU uses non-neutron-absorbent heavy water coolant in a standard, high-pressure, water-cooled reactor design to increase the efficiency to the point where a lower (cheaper) grade of uranium can be used. Thus, I regard CANDU as a design option for today’s existing uranium 235 burning reactors, where the uranium fuel enrichment operation is replaced by a coolant deuterium enrichment process. The thorium reactors under discussion have their fuel dissolved in ambient pressure, high temperature liquid salts that continuously recycle the fissile material. The CANDU principle does not apply because thorium does not need to be enriched and there is *no* water in the nuclear reaction chamber. The potential advantages of using thorium in molten salt reactors include safe, non-explosive, low-pressure design, abundant sources of fuel, and minimal production of dangerous transuranic nuclear waste. The primary radioactive waste produced is in the form of fission fragments that rapidly decay in a few hundred years, primarily by unstable excess neutrons shooting off an electron to become a proton. Today’s reactors produce waste rich in fissile transuranics that will have to be managed for tens of thousands of years. “Sign the petition! http://ThoriumPetition.com – LFTR does not produce transuranic waste. It burns up essentially all of the fuel because we don’t remove fuel from the reactor until it’s a fission product. “It is these transuranics like plutonium, americium & curium which present the biggest challenge to nuclear waste disposal. They have moderate half-lives (neither decay quickly nor low levels of radiation) and have complicated decay chains. “All of today’s pressurized water reactors (every commercial reactor operating in North America) use less than 1% of the energy stored in the nuclear fuel. This is why the spent fuel rods are difficult to manage. LFTR can consume almost all of its fuel. This big increase in efficiency means less nuclear waste to deal with. One thing to keep in mind is that thorium is not fissile on its own. It *must* be placed where it will be struck by neutrons. Thorium absorbs neutrons. Each neutron absorbed changes a thorium 232 atom to thorium 233, a more unstable isotope. That quickly changes to protactinium 233, also an unstable non-fissile isotope. In the molten salt reactor, the protactinium 233 is removed from the reaction chamber before absorption of another neutron can knock it up to protactinium 234. The protactinium 233 eventually shoots out another electron and becomes uranium 233, which is fissile. This fissile uranium 233 is then returned to the reaction chamber. When a uranium 233 nucleus is struck by a neutron, it will fission and in that process give off, on average, slightly more than two neutrons. That yields one neutron to shatter another uranium 233 nucleus and one more to convert another thorium 232 nucleus to thorium 233. The fluid state reactor core allows continuous chemical processing of the thorium/protactinium fluid and the fissile uranium fluid. Solid state thorium has been described as very difficult to process as required to continuously remove the protactinium 233 from the neutron flow. However, one might be able to slightly improve the efficiency of high-pressure, light water or heavy water (CANDU) reactors by including some thorium in the mix, given that these reactors only consume a small fraction of the fissile material in the fuel rods. Dr. David LeBlanc says that the real advantage is the fluid state reactor concept that can consume almost 100 percent of the fissile material. As far as I can tell, the main factor which has stood in the way of molten salt reactors is what Richard Martin describes as ‘technological lock-in.’ Once the design of a working nuclear reactor was accomplished, it became the standard and all nuclear technology since has been required to be ‘compatible’ with that design. It, like the ‘IBM PC,’ became the industry standard, despite the fact that its original designer, Alvin M. Weinberg, considered that design potentially impractical and unsafe for use as a public power generation reactor. Thus he is wrong except in the broadest sense possible. As seen here, the heavy water acting as moderator is in the calandria, the coolant in the pressure tubes may be either heavy or light water. There is no large pressure vessel containing the core. The pressure tubes are contained within calandria tubes with CO2 as an insulator between them, the low-pressure calandria water is kept cool. There is on-power refueling where fuel bundles are swapped out while running, no reactor shutdown needed. And from the beginning they were designed for easy refurbishment of the core, including nice touches like how the pressure tubes can be removed for inspection and replacement at any time. They are far from “a standard, high-pressure, water-cooled reactor design”. This “design option” also allows for a wide range of fuel choices that conventional enriched uranium burning reactors can’t use. That alone makes it radically different. And it’s not a “coolant deuterium enrichment process” but improved neutron economy, allowing the use of less-reactive fuel. What is this “CANDU principle” you speak of? The ‘continuous recycling’ involves integral fuel reprocessing. Which an additional unspoken burden on LFTR development. We don’t do fuel reprocessing in the US. How do you expect this “backdoor” reprocessing to be allowed? On the same site you’d have both a nuclear power plant and a chemical plant, increasing approval and permitting requirements. And dramatically increasing the public acceptance issues. A nuke plant is now becoming marginally acceptable in the US due to pressing energy and environmental issues. But to also get in a chemical plant using fluorine as well? The reactor end may be low pressure, but the heat is still used to generate high-pressure gas to drive a turbine, normally water vapor (steam). So those dangers are still present. CANDU’s are so efficient there’s no economic incentive to recycle fuel. How can required recycling be an advantage with LFTR’s? The “waste” from light water reactors is fuel for CANDU’s, reducing the waste issue. Canada has well thought out plans to deal with their waste by Deep Geological Disposal (DGD), as verified by studying natural undisturbed deposits of nuclear materials. Tens of thousands of years shouldn’t be an issue, but it’s not strictly necessary anyway. After only 500 years the radiation from a CANDU fuel bundle is minimal. The one credible mechanism for release of the disposed waste to the surface is by ground water, and after several hundred years the relative toxicity is equivalent to natural uranium ore and other deposits. Plus CANDU’s can burn up the long-lived actinides anyway. In any case, it’s an unfair comparison. LFTR’s have reprocessing built in, you’re comparing to reactors without reprocessing. Run the LWR “spent” fuel through CANDU’s, reprocess used CANDU fuel and send the actinides back through, you’d have similar long-term waste amounts. Technically speaking, a full LFTR power plant has never been built. The much-vaunted Oak Ridge National Laboratory Molten-Salt Reactor Experiment (MSRE) was proof-of-concept with the produced heat shed to the atmosphere, didn’t have the heat-to-electricity part. And it “simulated” using thorium, never actually did use any. Even then, there were problems. The “exotic” alloy Hastelloy-N was selected. At the time that design stresses were set for the MSRE, the data that was available indicated that the strength and creep rate of Hastelloy-N were hardly affected by irradiation. After the construction was well along, the stress-rupture life and fracture strain were found to be drastically reduced by thermal neutron irradiation. The MSRE stresses were reanalyzed, and it was concluded that the reactor would have adequate life to reach its goals. At the same time a program was launched to improve the resistance of Hastelloy-N to the embrittlement. For “adequate life” considerations, the experiment only ran about 4-5 years, and “operated for the equivalent of about 1.5 years of full power operation”. One unexpected finding was shallow, inter-granular cracking in all metal surfaces exposed to the fuel salt. The cause of the embrittlement was tellurium – a fission product generated in the fuel. This was first noted in the specimens that were removed from the core at intervals during the reactor operation. Post-operation examination of pieces of a control-rod thimble, heat-exchanger tubes, and pump bowl parts revealed the ubiquity of the cracking and emphasized its importance to the MSR concept. The crack growth was rapid enough to become a problem over the planned thirty-year life of a follow-on thorium breeder reactor. This cracking could be reduced by adding small amounts of niobium to the Hastelloy-N. Thus material selection is crucial for a LFTR to get a thirty-year lifespan. Meanwhile the planned-from-the-start relatively easy core refurbishment of CANDU’s already makes 50 year lifespans obtainable, using materials that are much-less exotic. And to mention it, while talking safety, what happens in the worst-case scenario of a complete loss of power? CANDU’s have automatic shutdown from control rods held against gravity by electromagnets, they’ll quickly drop into the low-pressure calandria, which is filled with the cool moderator water to absorb the residual heat, etc. Newer light water reactors also can handle such events with designs incorporating coolant water stored above the reactor that’ll automatically keep the core flooded, etc. But a molten salt reactor? First assume the reaction does shut down. Then the salts cool down and solidify, aka “freeze”. Then you have a lot of expensive plumbing clogged with solid radioactive salts. It’d take lots of careful heating to get that plant up and running. Water-cooled reactors are simpler to restart. Yet the engineering problems are only a part of the most important obstacle blocking molten salt reactors, and it’s not “technological lock-in”. We have proven technology that works just as good with less hassle. Uranium is plentiful, we can burn thorium without molten salt reactors. Worried about long-lived waste and long-term storage? Use CANDU’s and reprocess fuel. Kirk Sorensen wants to develop small modular reactors. There are many designs being worked on using far more conventional designs, and even simplified by using natural convection instead of pumps for coolant circulation. Although this Forbes article argues that cheap natural gas has killed the market for SMR’s. Natural gas would have to be about four times more expensive than currently, or likewise made much more expensive with a “carbon” tax, for SMR’s to compete. Of course there are many places in the world, including in the US, without access to that cheap gas, without the sources or the pipelines, where those more-conventional SMR’s will work quite well. So why do we have to bother with unproven complex complicated LFTR’s at all? I believe that the complicated three-stage breeding process required to burn thorium makes it difficult for use in non-fluid core reactors. In his talk, (http://www.youtube.com/watch?v=370srr67Bnk) Dr. David LeBlanc says that designing a solid state thorium reactor would be very hard. CANDU may have many advantages, but it seems unlikely that burning thorium as a single fuel would be one of them. While it is true that there may be a high-pressure steam turbine to generate electricity, there are multiple options in this regard and the standard designs include a ‘clean salt’ buffer unit so that two failures are required before high pressure could reach the core. I do suspect that the complexities associated with all this ancillary equipment may make large installations more practical than small modular units. Keeping the fissile material in the core until it becomes a short-lived fission fragment largely eliminates the need for long-term waste disposal sites. Short-term (300-year) waste holding sites are another issue. The primary design challenge that I see is the qualification of the design of the barrier between the two fluids, which must remain stable as neutrons are flowing through it. “So why do we have to bother with unproven complex complicated LFTR’s at all? I look at that technology as one potential successor energy source after all forms of cheap carbon energy have been exhausted. It appears that we have already taken out all the easily obtainable petroleum in a mere hundred years. Now we are shifting gears to go after more difficult and lower grade sources. So far, there seems to be little hope that any current conventional nuclear technology could be expanded to the scale required to fully replace carbon based chemical energy as a solution for all time in the future. As for the much heralded green energy, I do not believe it could support any more than a small fraction of today’s population after petroleum and other critical technical resources have been depleted due to the surface area per person required to collect it.. I think we need to prove, once and for all, that LFTR’s *cannot* be made to work well before we might be faced with a ‘great world population decimation period’ due to lack of energy. It may take well on the order of half a century before LFTR technology could be expanded from pilot plant to common use, based on the time it took steam to replace sail on ships. So far, LFTR is the only potential nuclear technology I know of that fully consumes the toxic transuranic waste. The continuous accumulation and incidental releases of this persistent waste makes the long-term, large-scale viability of other nuclear technologies questionable. The unique low-pressure core design should reduce the likelihood of dispersive explosions. At this stage, the cost of further development should be minimal. And why would thorium as a single fuel be so advantageous? See “CANDU Advanced Fuels and Fuel Cycles“, by P.G. Boczar et al (2002). You could have a long-term fuel cycle using only thorium as the inputed material, that requires recycling the U-233, which is problematic as “the daughter products of U-232 and Th-228 emit hard gammas”. CANDU-only would be Th/U-233 fuel, otherwise fast breeder reactors supply U-233 for CANDU’s. But there are economical near-term ways. First off, thorium dioxide (aka thoria in the paper) is used. “It is produced mainly as a by-product of lanthanide and uranium production. Thorianite is the name of the mineralogical form of thorium dioxide.” It has better physical characteristics than uranium dioxide. Two near-term fuel cycles have been examined for burning thorium fuel in an existing CANDU 6 reactor. In the mixed channel once-through thorium fuel cycle, some of the fuel channels in the reactor would be fuelled with thoria and some with SEU “driver” fuel. This would allow independent optimization of fuelling rates for the SEU and thoria fuel, with the thoria remaining in the reactor much longer than the SEU, to allow for optimal in-reactor production and burning of the U-233. Another type of fuel cycle considered is the direct self-recycle . This is an extension of a once-through cycle that takes advantage of the simple fuel bundle design. In this cycle, some portion of the bundle, say the central 8 elements of a CANFLEX fuel bundle, would be made up of thoria. The rest of the bundle would comprise SEU driver fuel. After the bundle had reached its burnup target and had been discharged from the reactor, the bundle would be disassembled, fresh SEU driver fuel elements would replace the irradiated SEU, and the irradiated thoria fuel elements would be recycled in a reconstituted bundle that would be reinserted into the reactor. This would allow recycling of the thoria while maintaining a high degree of proliferation resistance, with no chemistry involved, no access to the fuel pellets, and no altering of the fuel element. It would also be much cheaper than reprocessing technology. Examples of such technology already exist in the “demountable bundle”, that has been used for many years for fuel irradiations in the NRU loops, and in the “advanced carrier bundle”, designed for irradiating fuel channel specimens in a commercial CANDU power reactor . Furthermore, this cycle would create an inventory of U-233, safeguarded in the spent fuel, available for future recovery using proliferation-resistant technology. First one, just leave the thorium in the reactor until the U-233 is consumed. Second one, there’s a timing difference so store the fuel elements that still have some dregs left. Doesn’t seem difficult at all. See this 2009 Nature editorial, Adieu to nuclear recycling: President Barack Obama should be applauded for his decision to scrap commercial reprocessing. President George W. Bush was trying to restart US commercial reprocessing, wanted a demonstration plant, an environmental review was underway. Obama squelched that. He has deigned to allow research on improving reprocessing, limited to “basic science”. An IAEA report (PDF) notes that “long term [dry-cask] storage [is] becoming a progressive reality … storage durations up to 100 years and even beyond [are] possible.” The cost of dry-cask spent fuel storage is low — only about $100 to $200 per kilogram of contained heavy metal in the United States, where the casks are stored outdoors. In Germany and Japan, storage is inside thick-walled buildings, which can double the cost. This is still low, however, compared with the more than $1,000-per-kilogram cost of reprocessing. Countries initially justified civilian reprocessing by the need for separated plutonium to provide startup fuel for plutonium breeder reactors, but breeder reactors have not materialized. A 2010 IPFM report (PDF) examined the efforts to commercialize fast breeder reactors in six countries and showed how cost and reliability problems defeated these efforts. Some countries are therefore recycling their separated plutonium back into the reactors that produced it — as uranium-plutonium “mixed-oxide,” or MOX, fuel. Now some are advocating reprocessing as necessary for dealing with spent fuel. Reprocessing is not needed from an economic standpoint, new fuel is cheaper and disposal is also cheaper. The exchange is made from handling solid spent fuel to dealing with liquid wastes. Solid is much better for both above ground and deep geological storage. In the fluoride volatility process, fluorine is reacted with the fuel. Fluorine is so much more reactive than even oxygen that small particles of ground oxide fuel will burst into flame when dropped into a chamber full of fluorine. This is known as flame fluorination; the heat produced helps the reaction proceed. The liquid fuel concept introduces an additional large risk of chemical explosions. Read the bottom of the Wikipedia entry on the Oak Ridge MSRE, “Decommisioning”. The stored salts had a dangerous buildup of fluorine gas. The resulting final cleanup was a nightmare. So you haven’t read either the Operation or Results sections of the MSRE entry? What does that have to do with the “standard” dangers of a pressurized water system, magnified when using supercritical steam? Actually we currently don’t need long-term storage, to be technical about it. Just dry cask storage of the solid fuel as the radioactivity greatly diminishes. Then, several hundred years from now, reprocess with the less-messy methods developed in the meanwhile, burn up the long-lived stuff in reactors then. Although as James Cameron found in the Mariana Trench, the deep ocean has virtual dead zones. Given the great reduction in radioactivity after only 100 or just 50 years, dilution rates and what is already in sea water (it is almost economical to extract uranium from it), and how long it takes such deep water to circulate, the deepest depths will be all the long-term “storage” we’ll need. Let the solid fuel cool off up here for a bit, then carefully dump deep. In that case you’re missing a whole lot of important things that must also be solved. Pessimistic much? There remains lots of liquid petroleum to extract, with improving removal technologies, as well as our recent natural gas finds. We have well over a hundred years left. And that’s without considering the reserves of coal, convertible to liquid fuels. We’re in a technology hole for a bit. We need to develop better more-efficient energy storage systems, which is progressing. Solar cells are getting better, reducing area requirements. As our understanding of genetic engineering increases, we’ll be developing micro-critters that live on sunlight and excrete the liquid fuels we need. There are many things underway to supply us with lots more of dependable renewable energy in the decades to come. Conservation efforts continue. We can build passive houses requiring no heating, likely no cooling. Geothermal heat pumps economically reduce energy demands for heating and cooling with quick payback times. Appliances and vehicles are more efficient. Heck, people now do on smartphones and iPads what they used to do on P4 PC’s which qualify as space heaters. So as time goes on we need less energy. The major bugaboo of the “running out of energy” crowd is developing nations using more energy, and we can share our high-efficiency tech with them. So the “crisis” is much less than advertised, the crunch point much further in the future. As above, and it has the potential someday. Although I don’t expect much of “Green energy” anytime soon. I think we need more nuke plants, period. LFTR has no demonstrable advantage over proven existing CANDU technology. We can have all the energy we need NOW, affordably. As seen, not an issue. Likewise for CANDU’s. The fuel is sealed away from the coolant water, the coolant is in high pressure tubes, surrounded by calandria tubes, with the surrounding calandria moderator being low-pressure. Makes a explosive-type dispersion of radioactive materials nigh-impossible. (…) At this stage, the cost of further development should be minimal. “There remains lots of liquid petroleum to extract, with improving removal technologies, as well as our recent natural gas finds. We have well over a hundred years left. And that’s without considering the reserves of coal, convertible to liquid fuels. And after that is all used up and if we have refused to develop any real sustainable source of concentrated energy, the ‘Olduvai Theory’ kicks in and its back to the stone age. How big a farm are you going to need so that you can grow all your own food and *all* the biofuel you need for heating and transportation including your share for aircraft and marine transportation. Assume you have to produce all your own fertilizer. To date, despite massive government subsidies, wind and solar power only seem to meet about one percent of our power usage. Less power means less people. I think it may take a ruthless worldwide application of the China ‘One-Child’ policy for well over a century to make ‘Green Energy’ viable. I do not think you can store what you do not have. Yes, administration and petroleum executives are saying that carbon energy from unconventional sources should be sufficient for decades to come. After that? I am given to understand that this is a standard chemical industry practice. Fluorine is not explosive (shock-sensitive) on its own. It is potentially very corrosive, but the impression that I get is that it is quite safe if properly contained. At this experimental model stage, I expect costs to be low as compared with building public power plants. It does have the advantage of being partially demonstrated. It was the brainchild of the inventor of the current reactor technology in use. During the Nixon-Ford Administrations, they were spending about five million dollars a year on LFTR development and about five hundred million dollars a year on the Liquid Metal Fast Breeder Reactor project. It may be that nuclear technology got off on the wrong foot with a ‘Quick and Dirty’ solution for a wartime emergency. Your comments may be valid reasons for not using back-of-the-envelope, computer model LFTR designs for building public power stations. Any such technology will have to be thoroughly proved before it reaches that stage. If the Administration carbon energy estimates are valid, then we should have plenty of time to do this. Some professional ‘Peak Oil’ speakers are saying that the current recession is the first stage of a global energy depletion crisis. Currently Founder, Ottawa Valley Research Associates Ltd.